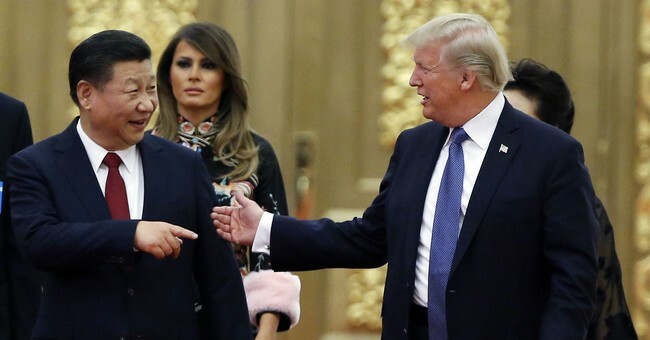 Nations famously tend to always try to fight the last war, and what America is preparing to do today with the newly assertive China is no exception. The problem is our last war was against primitive religious fanatics in the Middle East and China is an emerging superpower with approaching-peer level conventional capabilities and an actual strategy for contesting the United States in all the potential battlespaces – land, sea, air, space and cyber. America is simply not ready for the Pacific war to come. We’re likely to lose. In Desert Storm, Saddam Hussein was dumb enough to choose to face a U.S. military that was ready to fight its last war. That last war was the Cold War, where the Americans were prepared to fight a Soviet-equipped conscript army using Soviet tactics. And Saddam, genius that he was, decided to face America and its allies with a Soviet-equipped conscript army using Soviet tactics, except fractionally as effective as the Russians. It went poorly. I know – I was there at the VII Corps main command post as his entire army was annihilated in 100 hours. Chances are that the Chinese will not choose to fight our strengths. In fact, those chances total approximately 100%. It’s called “asymmetrical warfare” in English. What it’s called in Chinese I have no idea, but Sun Tzu wrote about it. Don’t fight the enemy’s strength; fight his weakness. Strike where he is not. Spread confusion about your intentions; force him to lash out. It’s all there in The Art of War; it’s just not clear anyone forming our current American military strategy has read it. Maybe they would if we labeled it “Third World” literature and said checking it out would check a diversity box for promotion. We seem intent on fighting not the enemy we face but the enemy we want to face. This is a rookie mistake. And we’ve built our strategy around that error. Take aircraft carriers. I have a sentimental attachment to those potent floating fortresses – the Schlichters are usually Navy officers and I’m the random green sheep who went Army. There was a picture of my dad’s carrier (the U.S.S. Lake Champlain) hanging in my house as a kid. I love them – but in 2019 they’re a trap. We’re hanging our whole maritime strategy in the Pacific Ocean around a few of these big, super-expensive iron airfields. If a carrier battle group (a carrier rolls with a posse like an old school rapper) gets within aircraft flight range of an enemy, then the enemy will have a bad day. So, what’s the super-obvious counter to our carrier strategy? Well, how about a bunch of relatively cheap missiles with a longer range than the carrier’s aircraft? And – surprise – what are the Chinese doing? Building a bunch of hypersonic and ballistic anti-ship missiles to pummel our flattops long before the F-35s and F-18s can reach the Chinese mainland. We know this because the Chinese are telling us they intend to do it, with the intent of neutering our combat power and breaking our will to fight by causing thousands of casualties in one fell swoop. The vulnerability of our carriers is no surprise; the Navy has been warned about it for years. There are a number of ideas out there to address the issue, but the Navy resists. One good one is to replace the limited numbers of (again) super-expensive, short-range manned aircraft with a bunch more long range drones. Except that means the Naval aviation community would have to admit the Top Gun era is in the past, and that’s too hard. So they buy a bunch of pricy, shiny manned fighters that can’t get the job done. Of course, it would also be nice if the Navy would emphasize seamanship and basic skills again so that it could keep its super-expensive ships from running into other vessels. The U.S.S. Fitzgerald collision not only killed some of our precious sailors, but took out a key weapons platform – 1/280thof our entire fleet! – because its officers failed again and again and because key systems on the ship were out of commission. This is inexcusable, but it is being excused. The focus of our military has shifted from victory to satisfying the whims of politicians. Here’s a troubling thought – if you go to one of the service branches’ War Colleges and poll the faculty and students about America’s greatest strategic threat, as many as 50% of the respondents will tell you it is “climate change.” That’s not an exaggeration. Our military is supposed to be dealing with the Chinese military and its brain trust is obsessing about the weather in 100 years. The Chinese are going to continue dumping exponentially more carbon than America into the air and preparing to take us down while we focus on this kind of frivolous nonsense. Did you know the Chinese are pillaging our tech here in America, while our intelligence community’s incompetence led to our spy networks in China being rolled up? Probably not – these are one-day stories because the elite in DC and the media are busy trying to push the guy who won the last election out of office. Here’s how the Chinese win. First, they take out our satellites. You know the GPS location service on your phone? Satellites, which are easy to hit. Say “bye-bye” to much of the ability of our precision weapons to find their targets. Also up for destruction are the communications satellites we rely on to coordinate our operations. And then there is the Chinese cyberattack, not only on our military systems but on systems here at home that control civilian power, water and other logistics. A U.S military with no comms and no computers is essentially the Post Office with worse service. An America with a ruined internet is Somalia. Then they hit our land bases on Guam, Okinawa and elsewhere with a blizzard of missiles, knocking them out and annihilating our aircraft on the ground. Maybe we could respond with B-2s flying from the continental United States. We have 19 whole combat-capable aircraft, assuming a 100% operational readiness rate, which is just not a thing. We might even take out a few missile batteries on the Chinese coast. We won’t know the difference though. As for our carriers, if they come to play, they are likely going to get sunk, and if they stay out of the fight, they are merely useless – assuming quiet diesel subs do not find and sink them. This is not a surprise. We play wargames against the Chinese all the time, and we lose. Much of this seems to be picking on the Navy, but that’s only because the Navy would take the lead in a fight against the Chinses in the Pacific. The other branches have similar issues with strategy, leadership and equipment. So, what is the answer? The answer may well be to reframe the question – instead of determining our objectives and then failing to provide the capabilities to achieve them, maybe we need to decide what capabilities we are willing to provide and form our strategic objectives to meet those realities. Moreover, we need to get it through our heads that no one is going to be as dumb as Saddam was and conveniently fight us the way we want to be fought. We need a complete strategic mindset revolution, one that moves from a few super-expensive systems to many affordable ones. We need to say good-bye to legacies of the 20th century, like mostly manned combat aircraft and a few huge carrier battle groups. We need to prepare to defeat the enemy we actually face, not the enemy we want to face. On an equally cheery note, check out my novels People’s Republic, Indian Country and Wildfire, about an America split apart into red and blue nations at each other’s throats. Number Four is in progress for release this summer…and yeah, this time China is in the picture! Macron to deploy French army against “yellow vest” protests — This is the first time since the 1954–1962 Algerian war that the army is to be mobilized in policing operations on French soil against the population.